What to expect from the third season of 'True Detective' – AiPT! What can we expect from the third season of ‘True Detective’? The third season of HBO’s critically acclaimed True Detective debuts Sunday, January 13th. After a stellar first season, the second was met with mixed reviews. Still, the show did great numbers and fans eagerly expected another season. Academy Award winner Mahershala Ali leads a promising cast in what looks to be a return to form. Only time will tell how the third season will fare, but here are some things to expect. Did you forget the intricacies of the first season? Happen to quit watching season two after a few episodes? True Detective is an anthology series so each season is independent of each other. In other words, you do not need to have remembered every minute detail from its debut season or even know the conclusion of the second season. Season three is it’s own story and nothing hinges on the first two seasons. If you are worried about not having enough time to finish the first two seasons before January 13 there is nothing to worry about. True Detective is a carefully paced story that does not rush anything. The plot slowly unfolds and characters are expanded upon as clues are discovered. This is not a show that hinges on a series of quick cuts and inexplicable plot twists. The first two episodes of season three will air on January 13th, giving viewers ample time to get caught up in its cast and mystery. The setting for most great mysteries is almost as important as its characters. Helping to set tone and mood, the backdrop of a story can add tension while heightening its mystery. The third season of True Detective will take place in the Ozarks. The region is mountainous, filled with streams and lakes, and can add an almost sinister tone to the plot. 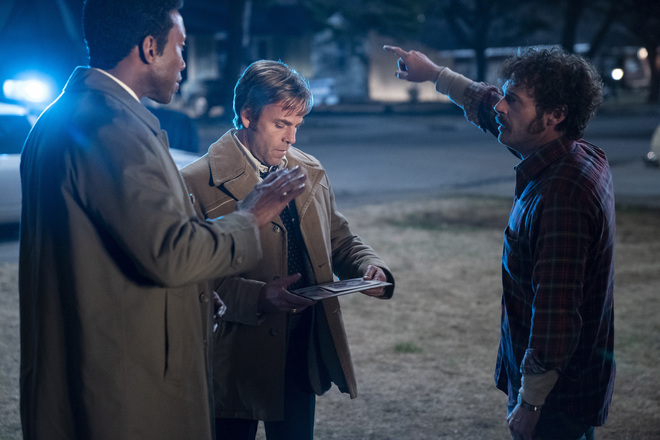 It is an atmospheric part of the country not often seen on television and it will be interesting how it plays into True Detective’s narrative. The first two seasons of True Detective analyzed masculinity and people’s definition of it. Since the show is primarily seen through the eyes of its male leads, it is a very male oriented view on life. Still, it is very clear that the females in each season have played a very important role in the lives of the men. Along with masculinity, the HBO drama is a deep show that may seem like a typical police procedural, but goes beyond these confines.